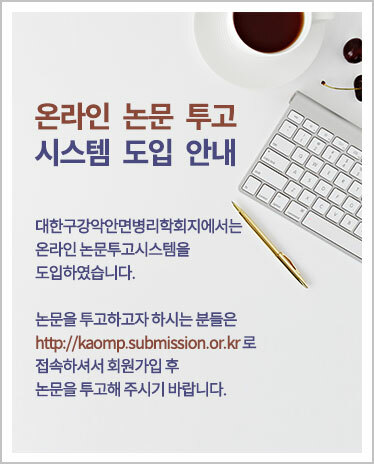 This jounal is circulated to all members free of charge(www.kaomp.org. or http://journal.kaomp.org). You can order a subscription of manuscript to publisher $100 per year. It is identical to Creative Commons Attribution Non-Commercial License (http://creativecommons.org/licenses/by-nc/3.0/). This paper meets the requirements of KS X ISO 9706-1994 and ANSI/NISOZ39, 48-1992(Permanence of Paper).